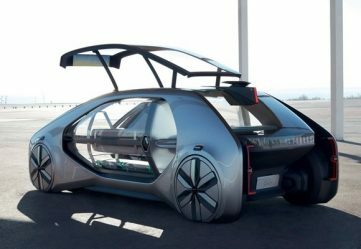 With its three studios in Los Angeles, Turin and Shanghai, ICONA Design provides clients with beautiful concepts blending technology and human machine interface for a premium experience in the evolution of transportation. Founded in 2010 in the Italian city of Turin, ICONA Design is built on the pillars of know-how and numerous internationally renowned players in the automotive industry. Including design firms, manufacturing companies, universities and research centers. ICONA Design Los Angeles opened in 2016 and serves all US / North American based clients. 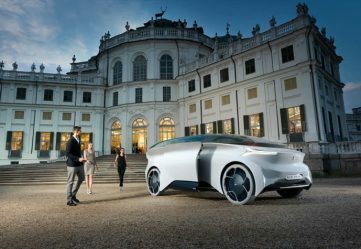 Nucleus is ICONA Design’s most recent and relevant Level 5 autonomous concept vehicle featuring the “less is more approach” resulting in a fluid and sculptural body that combines the needs of both aerodynamics and ergonomics. Nucleus also shows us the future for the next generation of cars. A generation that aspires to be socially responsible through respect not only for natural environment but also the human environment. With all occupants as passengers, their interaction and the individuality of their personal space becomes a priority. Through its integrated partnership with sector leaders Tecnocad Progetti and Cecomp, also located in Turin, ICONA offers a complete range of services for vehicle development, including styling, engineering, and manufacturing of style models, show cars and prototypes.